Before you know it, you will have to start planning Christmas gifts for everyone on your list. It all seems so simple until you remember that you have a secret Santa to shop for. Let’s face it, shopping for a coworker, friend, or distant family member can be quite tricky, but we’ve made this list of gifts that anyone would be ecstatic to receive this holiday season! So don’t worry, we’ve got you covered… Keep reading for 40 awesome secret Santa Christmas gifts people actually want to receive! This is the perfect gift for any wine fanatic. From now on, when they’re pouring their glass, they can base the amount of wine off of the kind of day they’ve had to get the perfect pour! Anyone would be lucky to get this gift! This waterproof case will protect your phone from not only water, but things like sand, dirt and any spills you might have! Definitely one of the most useful Secret Santa gifts you can get! This cookbook is basically a must-have for anyone that likes to go out and party on the weekends. We all know that 2 a.m. food craving that hits when we get back from the bar…this cookbook will guide you through that process leaving you full and satisfied. Know of any hot sauce lovers in your life? This will be perfect for any Tabasco fan – its hot sauce flavored chocolate. And the best part? All the reviews say it delicious. Now this is a Secret Santa gift I can get behind! If you don’t love avocado, you’re seriously missing out. Gift your Secret Santa recipient the best gift with over 50 delicious recipes you can make with avocado! If your secret santa recipient loves taking a good selfie, this is the perfect gift for them. Just attach it to the back of your phone and you have a phone stand AND the perfect gripper for taking that selfie from just the right angle. Everyone can always use another pair of ear buds, so a cute spare set makes the perfect gift. Although this can be seen as a gag gift, there are mornings when we all feel like we need this much coffee. Everyone and anyone can benefit from a Bluetooth speaker. Perfect for parties or just gettin’ wild around the house! If you’re looking for a practical gift, gloves or a winter hat are a perfect option. Tech gloves are also an awesome idea – with special fingertips to keep you texting, these are definitely something that anyone would get a ton of use out of. A makeup bag is an absolute ideal gift for the traveling girl. Because unicorns are trendy AF. If your secret Santa is always on the go, they definitely appreciate a fun portable charger. Provide your secret Santa with a cute little storage piece for all things shiny. The Mermaid obsession is real right now, and if you don’t have a mermaid blanket, you’re missing out. Personal but also quirky, laptop stickers make totally unique secret Santa gifts. This gift set has 100, so they will be sure to have fun sorting through them all! Get that inner-Vegas out of you with these cards. These gorgeous, all-black playing cards can bring the sophisticated look to any card game you have in mind. This is the perfect gift to give someone with a photo already in it or without a photo yet! Your roomie/boyfriend/girlfriend will totally love it. The delicate snack is recreated as erasers for everyone to use. Being a student, not everything can be found on our phones or laptops, sometimes you just need to do things through pencil and paper. Just make sure you don’t accidentally bite into one! This amazing box office inspired gift can bring some movie magic into your decor. From quotes, to party themes, to movie titles, the possibilities are endless with the interchangeable letters provided. If you’re a student who loves to use colours while taking notes, these smooth pens are right for you. Also, who can resist some new school supplies when you’ve been living off the same pencil for the past semester? This is the cutest lamp I had ever seen. But, on top of that, you can use this in a practical way. On late nights when you just want a light glow throughout your room, this works perfectly. It gives off a soft pink glow in the room that can be your nightlight (some people need it, no judgments here). A simple colouring book is perfect for Christmas when you just want to wind back and relax. This Secret Garden colouring book is a fan-favourite. There are always other alternatives to these adult-colouring books in your local book store. These pillows are perfect for a quirky gift. When you’re taking a nap, you can do so with the “Heart Eyes” and “Poop” emoji. That’s what I call: living the dream. The most wonderful time of the year is also the coldest time of the year. These adorable lip glosses that you can keep in your pocket or purse are purrrrfect for everyone. These chopsticks can bring out the inner-Star Wars nerd that everyone has. This is one of the cutest Secret Santa gifts to give any Star Wars junkie! Since many university class rooms do not have a hanging clock, everyone needs to tell the time in some way (other than their phone). This trendy watch is perfect for your outfit of the day. Each one of these boxes are hand-painted, so no two are the same. You are able to use these as a container for your jewelry or anything that will fit in the box. This simple and gorgeous gift is great for its decorative and practical uses. Fitting for the 21st gift on this list. This gigantic flask can be seen as a gag gift, but you never know when you’ll need to carry around 64 oz of a drink. The perfect gift for all the fashionistas, or for those of us who keep losing one earring and can never find a pair when it’s time to go out! The hilarious “At Seen On Tv” item is actually extremely practical and comfy. During the cold Holiday season, you’re going to want to wish that your Santa will give this to you. Everyone needs good makeup brushes to last them a long time. It’s a lot easier than buying brushes that break after a few uses. This set is great for all of your makeup needs because of the variety of the brushes. Also, with a carrying case, you can take it with you when you’re traveling. Everybody loves a little tea in their lives. This tea infuser is great when you want to make your own teas. We all need some hot tea during the Winter season. Options also include a gingerbread man, an anchor, and a pig! This creatively-shaped palette has everything you need all in one. From eyeshadows, lip colours, face powders, brow product, and eyeliner, the inner-makeup guru in you is going to love this gift. Although this is one of the pricier secret Santa gifts, it’s value is $227 while priced at a more moderate $49.50. Sounds like a deal to me! Whether you want to blast music for your private dance party, or want some music playing while you study, this speaker is a great gift. It comes in six different colours and has a suction cup on the bottom so it won’t move from where you put it. This gift from Santa can be used anywhere. With a little bit of water, you can create art on this canvas. This board is meant for relaxing and letting go through art. Once you create something on the canvas, it disappears when the water evaporates. Although it may seem like it has no point because the art goes away, this can help you greatly when you want to de-stress. To start of the new year, have a journal with you. You can document your days, write stories and poems, or even talk about random things going through your mind. It’s your journal, you can use it the way you want to. Start off 2017 with a clean slate and new journal. Anyone will love these cute little kitties! Perfect for hosting parties and having people over, these adorable cats will ensure no one loses track of their drink. Okay, this is an amazing option for secret Santa gifts, because who ISN’T obsessed with avocados? Not to mention, it’s creepily realistic looking…hopefully no one will try to snag it from the tree this year! In your opinion, which are the best secret Santa gifts to give? Comment below and share this article with friends! Nicole is a first-year Business Management student at Ryerson university. She is an actor, singer, and brand new writer. Society19 is her first experience at writing, outside of school. 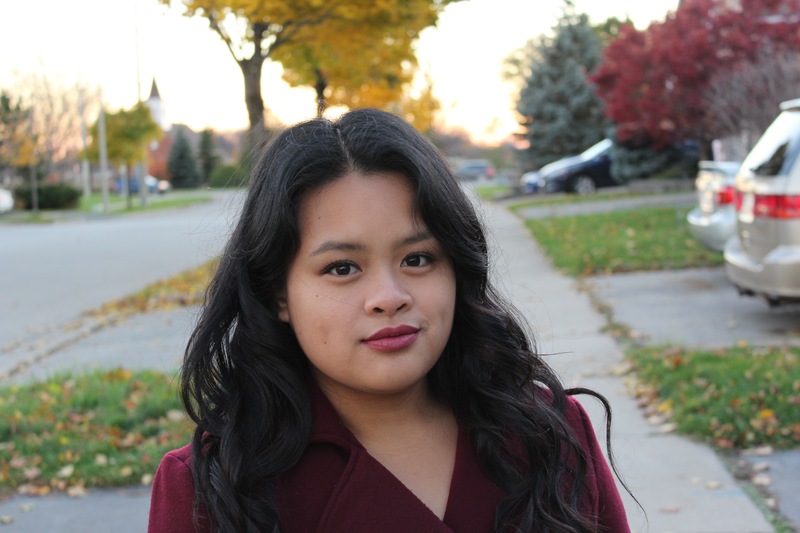 Nicole hopes to explore the city of Toronto and her school of Ryerson by emerging into the world of business, while interweaving her passion in art to create amazing experiences for herself and her peers.